Communities are all about creating an ecosystem. The audience can differ, but the goal is the same, to be a source where members can go to engage, connect, and learn. Our customers know how to create communities that matter! 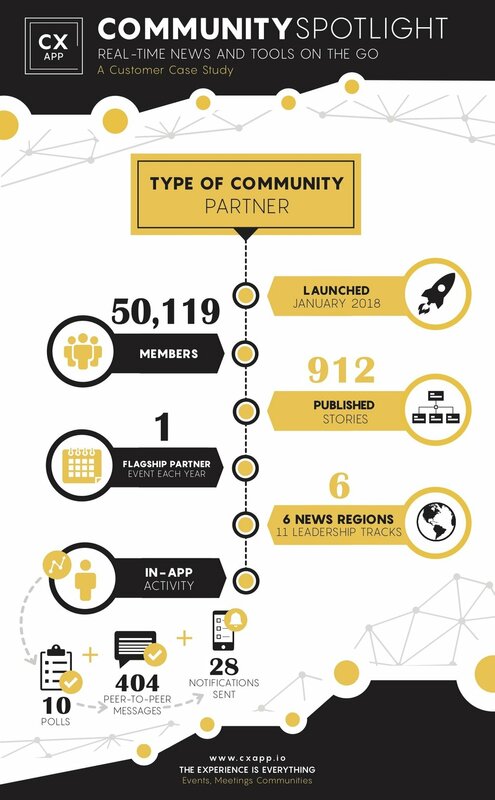 This community focuses on a mobile experience that delivers customer materials, events, webinars, videos, wins, and more that pertain to their partner network. A partner network executed correctly, with a mobile-first mindset, shares tangible value that brings technical knowledge, industry-relevance, responsive service, and smart solutions to the forefront of business initiatives. Real-time news feeds help communities distribute leading communications, thought leadership, and open environment to solve problems and create opportunities.